Hitler invades Yugoslavia and Greece. Japanese Emperor Hirohito's 40th birthday. "Today the German Wehrmacht is doubtlessly the most gigantic instrument of war of all time that there ever was on this earth." German invasion of the Soviet Union is launched. Courageously, Bishop Von Galen delivers his sermon against the Gestapo, We Demand Justice. Bishop Von Galen gives his sermon against Nazi "euthanasia." Francois Darlan becomes French ministre de la défense nationale. Paul Legentilhomme becomes head of the Commissariat à la guerre of Free France (France libre). An Australian pilot is shot down over the Gulf of Siam after spotting the Japanese invasion fleet. He is the first ally to die in the Pacific phase of World War II. Pear Harbor Attack begins. Although the war started in 1939, the United States did not join the Allies until Japan bombed the American fleet in Pearl Harbor, Hawaii, on December 7, 1941. Here are some impressive Pearl Harbor photos. See here the Pearl Harbor Attack timeline. Japan invades Malaya by attacking Kota Bharu. The forces of the United Kingdom will retreat from Malaya to Singapore on February 1, 1942. Japan invades Thailand at Singora and Patani. Thailand surrenders a few hours later. 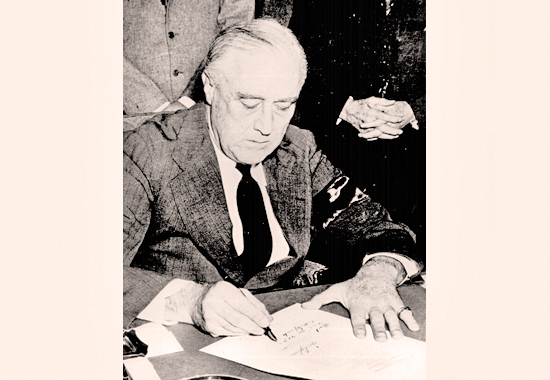 President Franklin D. Roosevelt signs the Declaration of War against Japan. The Battle of Wake Island starts. This Battle will end on December 23, 1941. 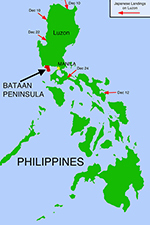 Also December 8, 1941: Japanese forces start their invasion of the Philippines. Invading Japanese forces defeated U.S. troops at the Battle of Wake Island. This battle had started on December 8, 1941.